With the Pet Control HQ Wireless Fence you can train your dog at home or on the go. The electric dog fence in combination with the antibark dog training collar system is perfect for off the leash training. With it you will be able to address issues such as barking, digging and jumping over the fence. The dog collar, which is rechargeable and waterproof, will beep once anytime your dog approaches the electric fence boundary. After the beep a static correction will be automatically sent to the collar. 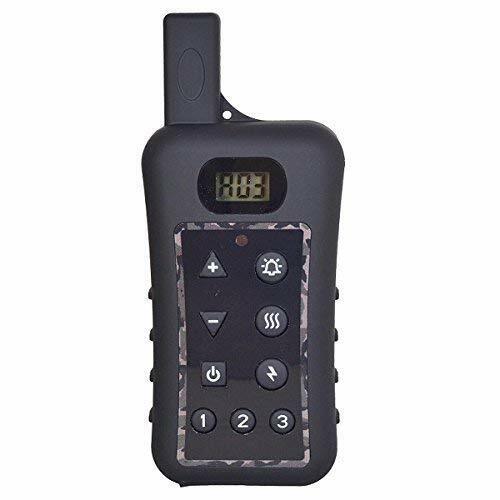 You are also able to use the remote at the same time which gives you even more control over where your dog shouldn’t go. The Pet Control HQ Wireless Fence can be installed above or below ground andis 100% customizable. You can setup up the layout so that it perfectly suits your yard. For example, if you want to separate sections of your yard into different zones the Pet Control HQ Wireless Fence makes that possible. It’s the perfect solution for those who have areas such as a garden bed or play area that the dog needs to be kept away from. The dog collar that comes with the Pet Control HQ Wireless Fence can fit extra large dogs, large dogs, medium dogs, and small breeds. It’s a collar your dog will never outgrow. 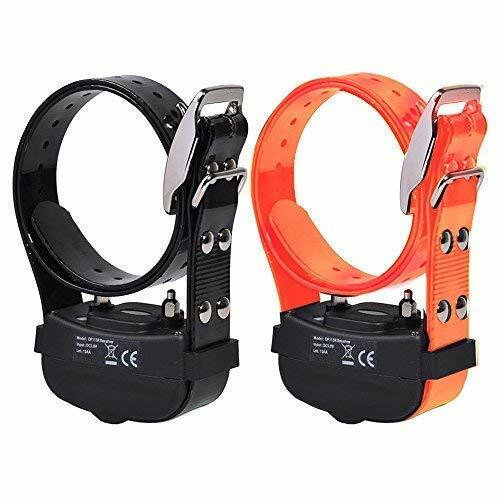 The collar has 3 levels of static correction that are automatic. The remote collar gives you more power with 10 levels of vibration and correction. 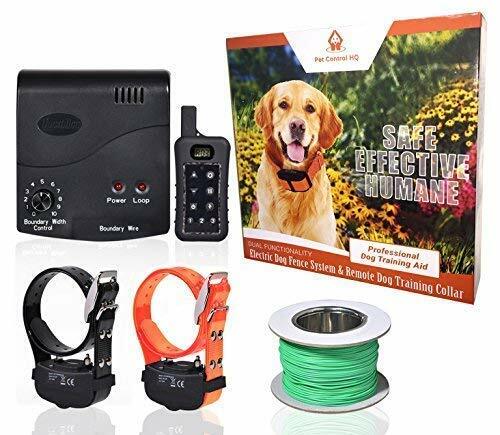 The remote trainer allows you to choose the level of correction that is best suited for your dog’s particular behavior. Both the collar and containment system are of the highest quality. The electric dog fence and wireless shock collar use technology that is unique to the Pet Control HQ brand. The waterproof collar is IPX7 Rated and is safe for swimming in water that is a maximum of 3.3ft deep. Your dog can also bathe in the collar for up to 30 minutes. The containment system uses heavy duty copper based wire. When installed underground you never have to worry about it being chewed up or ran over. When installed above ground a conduit can be used to protect the invisible fencing. If you have more than one dog you can use the remote dog trainer and fence. This will allow you to train up to 3 dogs at the same time. The remote gives you the ability to pick which dog needs to be corrected so you won’t accidently shock the wrong one. You are also able to control the strength of the static correction each dog receives. This ensures a small dog won’t get the same static correction as a larger dog. In order to train multiple dogs you will need to purchase training collars for each pet. By purchasing additional wire you can expand the electric fence to up to 10 acres. Customizable electronic dog fence so you can easily designate what areas are off limits. Many users have complained about the quality of the product. Either the collar, receiver, or both has been reported as no longer working after only a few months. This product may correct your dog when it shouldn’t. One user said their dog was put in the hospital because the collar released a charge out of the blue. For a list of the Best Wireless Dog fences you can visit our Buying Guide here.